Choose? Fuhgeddaboudit! Just play the Floyd and groove on it! without water one doesn't really need more in the way of gills, right? Just a friendly tip Mr Star, you probably meant to click Post Reply and not New Topic. This thread shows me that the admins here are not very intelligent. When I had less than 10 posts, I couldn't write in any thread without waiting for days (sometimes more than a week) until it was authorized by them. I also tried opening a new topic and it never showed up. But if you open a new topic that's already there, the admins authorize it! I always hated that pink floyride they gave me as a kid. In fact, I kinda hate pink floyd, too. No comment on fish. That was a scene for the younger folks to get laid and party so I approve. Ain't never listened to them. Phish is a great band. I really wish they've would've done Joe's Garage as one of their Halloween musical costumes. Good god!! After their completely crappy version of Peaches? You gotta be kidding. I strongly believe that "Gilmour or Waters" is vastlly superior to "Waters or Gilmore". Pink Floyd as an entity was something to behold....after the fact, Waters had the edge...but Gilmour had more of the band members..... I saw the Gilmour led "Floyd" twice, and while it was entertaining, Waters' "band" was a better representation of the whole "project"! 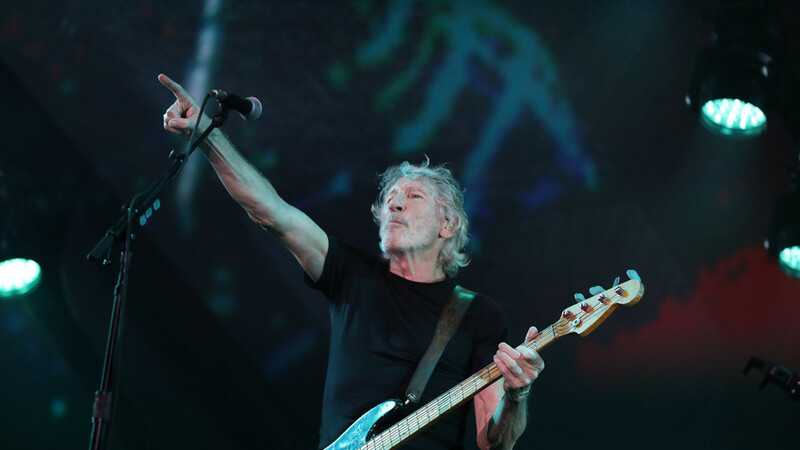 I saw Roger's first recent tour as a solo act (in 1999 as opposed to his 85 and 87 tours) and it totally blew away the two "Floyd" tours I saw in 87 and 94! The Floyd tours were all lights, and production and 50,000 people on stage...but that 1999 Waters tour was all about the music! Then when I saw him a few years back doing the whole Wall show, it was amazing! I wish they all would have gotten along, but what do you do? Raging Waters (a water park in Sacramento) and Gil Moore (the drummer for Triumph) are pretty good too. Waters without a doubt, although Gilmour is a better bass player! 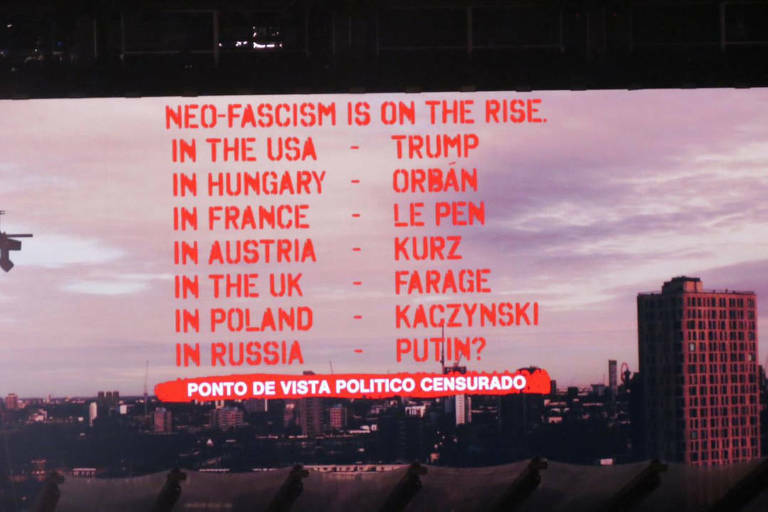 Roger Waters went through a very shocking/emabarassing moment when a big part of the 40k+ members of the audience in São Paulo, the day before yesterday, booed him when he displayed anti-facist messages, against the far-right presidential candidate, adding him to a list of Neo-facists on the rise around the world and displayed the #EleNão ("#NotHim") tag in his humongous HD screen. São Paulo, the financial capital of Brazil was the single place with the most votes for this sod, in the election's first run... Many of these "fans" thought the Wall was about building a house, Animals was about farming and DSOTM was about the Apollo missions, apparently. P.S. One of the offenses shouted at him during the booing was "Gilmour, Gilmour..."
Jugband Blues is pink floyd's greatest song. And it all went smoothly until two minutes before the deadline. Just as Waters' producers were, presumably, starting to breathe a collective sigh of relief, the stage went dark and silent. Then a message in Portuguese flashed on the big screen. They told us we cannot talk about the election after 10 o'clock. We have 30 seconds. This is our last chance to resist fascism before Sunday. Not him! 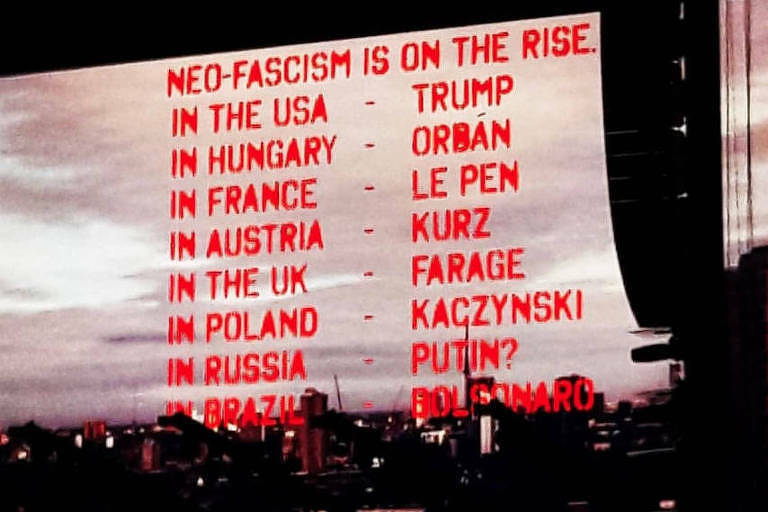 "Not him" – "Ele Nao" in Portuguese – is the uniting slogan of everyone campaigning and protesting against Bolsonaro. As the clock struck 10, the words "It's ten o'clock. Obey the law," appeared on the display. In the run-up to Waters' performance, Bolsonaro tweeted that "any person in the national territory, even if he is not a Brazilian citizen, has inalienable rights as a human being, as well as having a duty to obey the laws of Brazil." Bolsonaro, who is sometimes described as Brazil's Trump, is widely expected to seal the vote in Sunday's run-off. The right-wing politician cruised through the first round, wining 46 percent of the vote on October 7, with his main opponent, Fernando Haddad from the leftist Worker's Party, receiving only 29 percent. The MDA poll released on Saturday predicted a comfortable win for Bolsonaro, who currently holds a double-digit advantage over Haddad. Tens of thousands have protested against Bolsonaro's all-but-secured rise to power both on the streets and online. MGG note: The right version would include Putin's name on the list, even though with a question mark, and that he was threatened by 'justice' with a fine if manifestation was to be made after 10 pm, or even prison if after midnight, for it is the date of election (today).